Well, that was a race to the finish. I was literally finishing up back splash last night. A huge thank you to Linda for including me in this incredible line up of talented ladies. 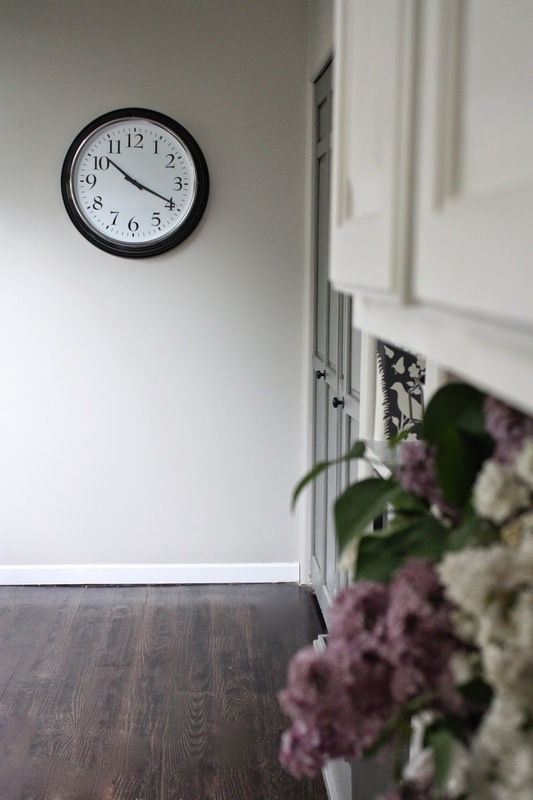 Today I am just going to show you a whole ton of photos of my finished kitchen and then tomorrow I will give you all the sources, paint colors, etc. If you would like to see what the room started out as, click here. 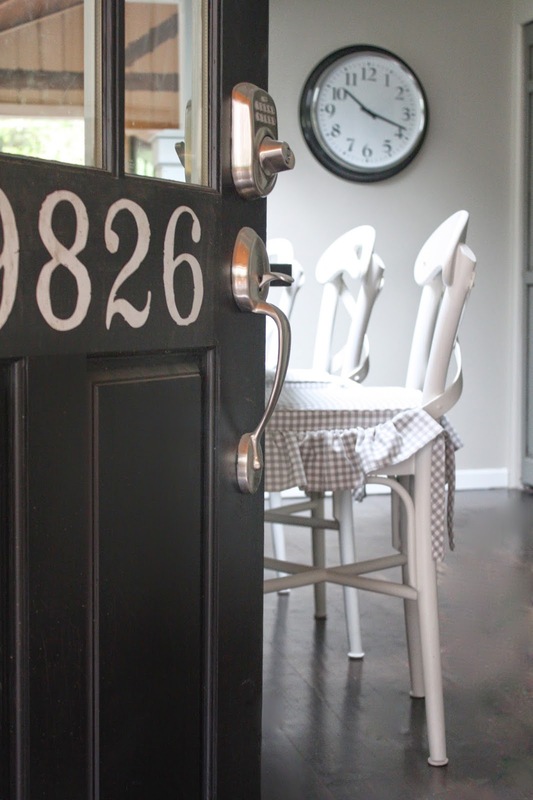 The kitchen is the first room you step into off the front porch. So welcome, come on in! It is so much lighter and brighter, it's like a breath of fresh air. This room is pretty big, about 16x16, and functions not only as our kitchen but also as a little home office~or blogging corner. 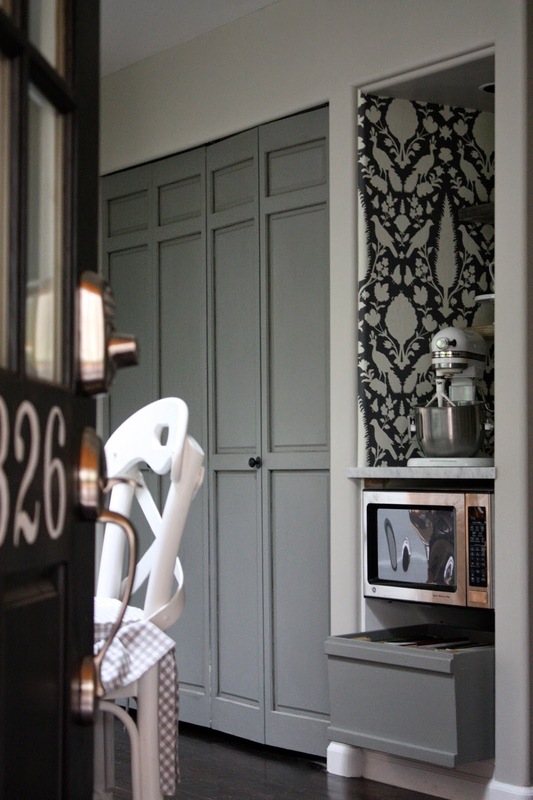 And a soft grey/green on the island to match the pantry doors. 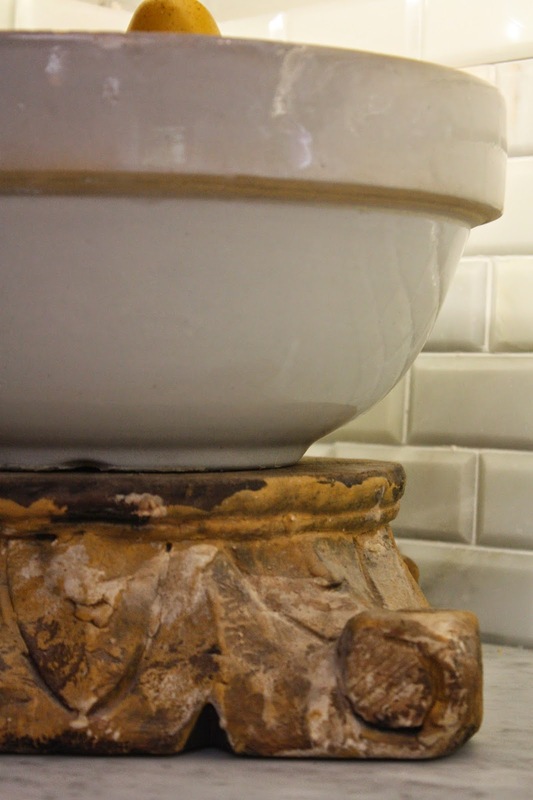 Beveled marble subway tiles and a thrifted bowl. I have been dreaming about for ages. The "office" area got more cabinets and marble…. It functions so much better now! This little niche turned into a tiny baking center. Right next to the pantry it is pretty handy. I probably overdid it on the pictures. questions feel free to ask in the comment section! Remember to click on each of the links below to see everyones finished spaces! Fabulous job!!! It looks amazing!! I am loving the niche (dying over the wallpaper)! Where did you find those amazing shelves in the niche? Great job! You had a ton of work to do and it all came together beautifully! Looks beautiful!! Would love to know where you found the runner? Thanks! Please please please come redo my kitchen. Love what you did. Your project is my favorite out of all the challenges. OMG! Absolutely gorgeous! I love everything about it! Would love to know the paint formula/color for pantry. To.Die.For. absolutely beautiful; which i knew it would be! I love how bright it is! the marble is amazing. 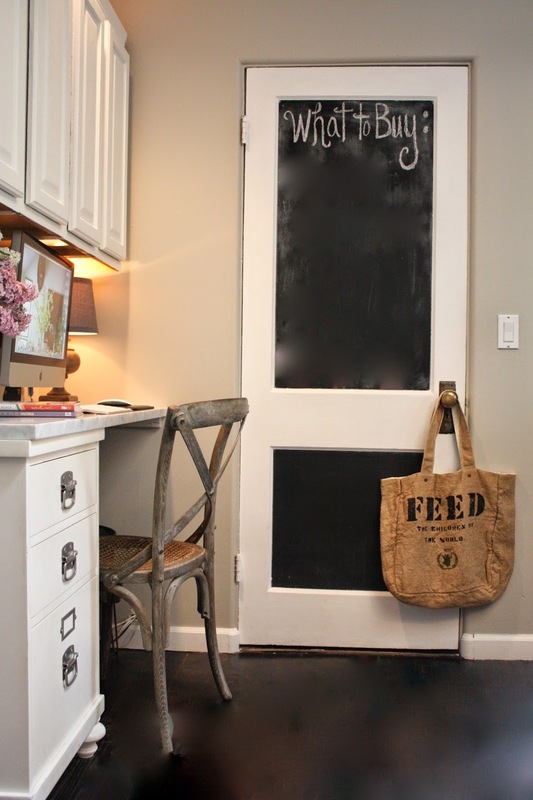 this has me itching to redo my kitchen! Beautiful Melaine! I love so many things about your facelift, but the Schumacher paper paired with the wood shelves and white pottery is so lovely together! That looks so great! You have a great eye for design and when I need a kitchen remodel I'm coming to you!!! It turned out beautiful Melanie! Hope you list the source where you found your "new wood thingy!" Love it! Home Sweet Savannah! Absolutely beautiful! Can't wait for the source list tomorrow. I love it! Such a warm and inviting kitchen. It looks absolutely fabulous! 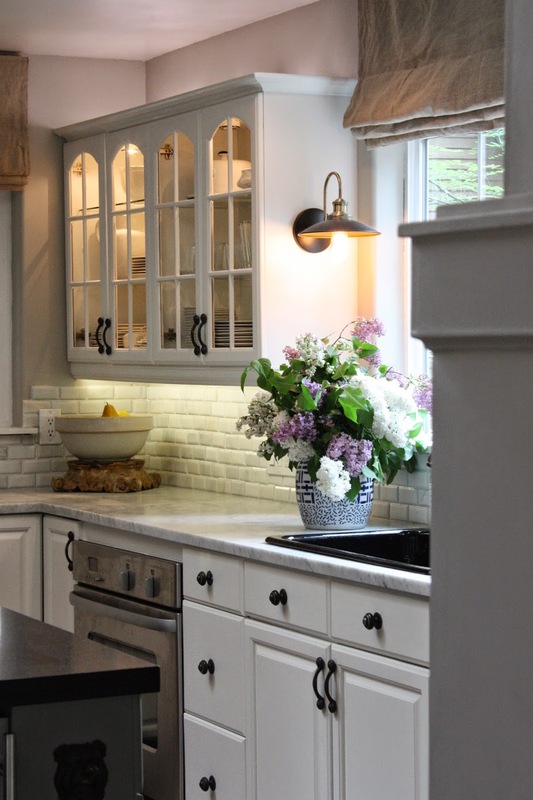 Love the marble backsplash and those gorgeous sconces on either side of the sink!! Gaah! Gorgeous! 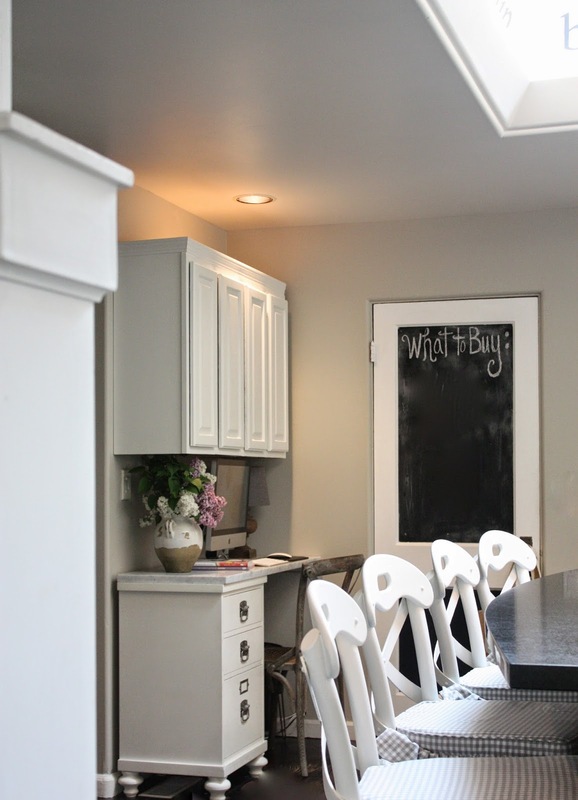 I NEED to know the name of that gray paint you used on the island and pantry doors! Looks super! Love the new fresh look. Where to start? You outdid yourself. Every finish and selection is so very beautiful. 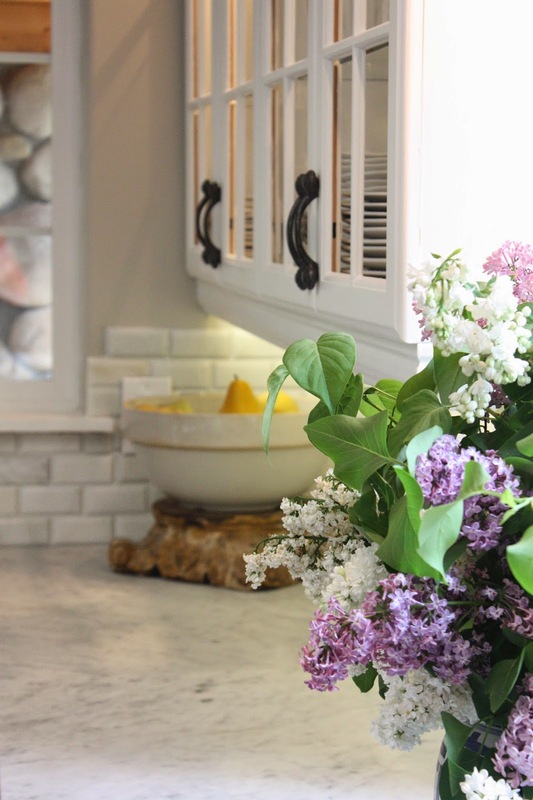 Your kitchen looks like a dream.. the marble is lovely and the new light fixtures are fabulous! You must be on cloud nine!! It's perfection. Gorgeous! I'm in love with the backsplah! And the whole kitchen is so warm and welcoming... Just perfect! Sparkling! Amazing! Your baking niche is fabulous! Kudos to you for what must have been some long, hard days of work. I would kill for this big beautiful kitchen! The skylight kills me and the beveled marble tiles are a beautiful touch. What a great job! Bravo. It looks terrific! I don't even know where to start. Love it all all! Well done! what an inviting space! I love how welcoming and bright it is. Such a cozy kitchen. I love the nook especially! I would just bake all day to have an excuse to hang out there. And I love your office desk too! COngrats! It's an amazing kitchen! You have a beautiful kitchen! Great job on the transformation! You completed a TON of work in just 6 short weeks and it all looks amazing!!!! I adore adore that nook with the wallpaper and all the pretty touches like the bowl on the wood stand. 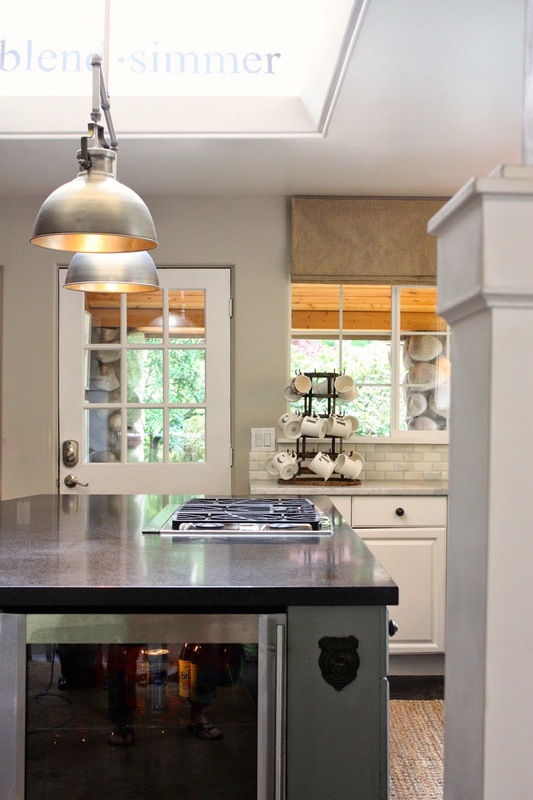 Your kitchen feels so inviting but still really thoughtful and refined- such a nice balance. Beautiful, beautiful job! Simply gorgeous! Love every bit of it! 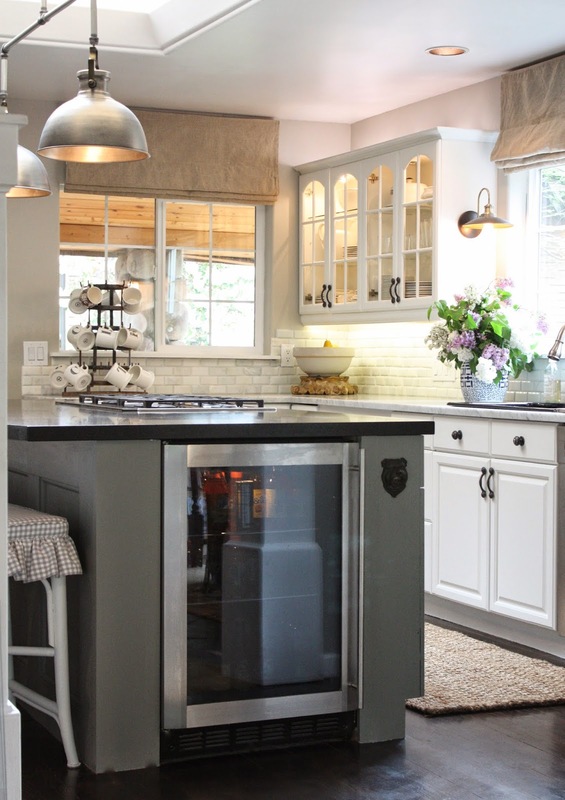 Such an amazing transformation, your kitchen is GORGEOUS!!! 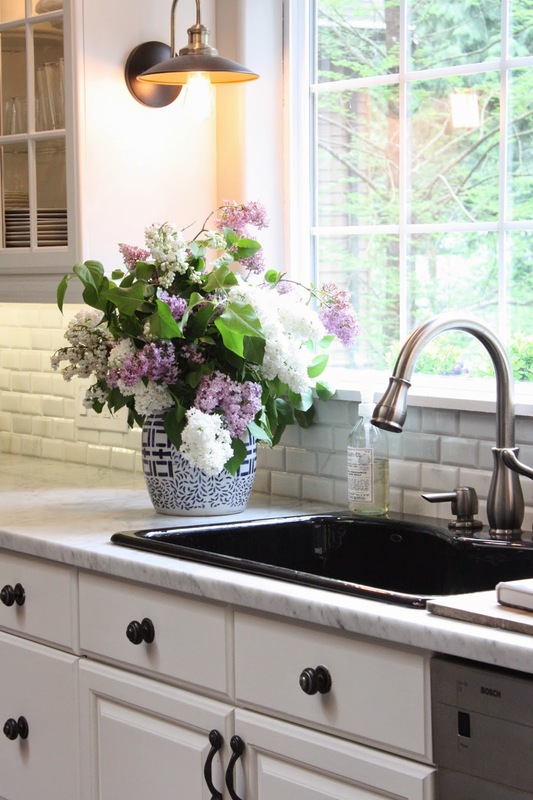 I love the marble countertops and marble subway tiles... So fresh and crisp! Congratulations!! Wow! 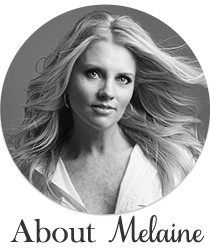 You did such a beautiful job Melanie! I know it was hard work and it was well worth it!!! Gorgeous. 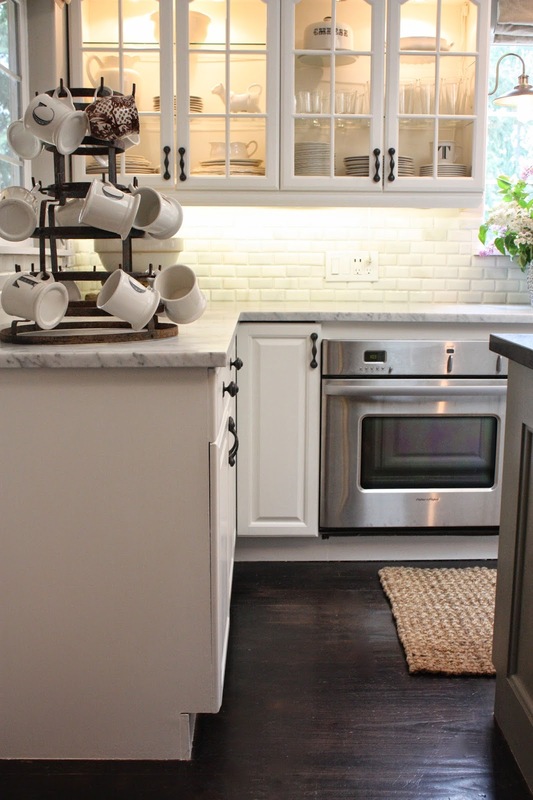 I already sent the blog link to my friend (who is redoing her kitchen) and I had only seen 3 photos... it is that good!!! WOW, I'm in awe.. seriously!! Melaine your kitchen is truly beautiful! 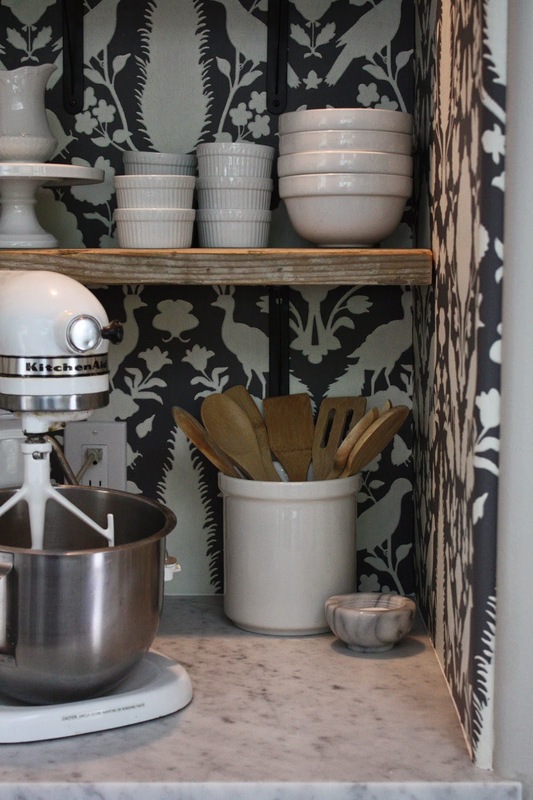 I'm dying over that delicious wallpaper, and I think the baking center is just perfect. wonderful job, thanks so much for sharing it! Oh, Melaine!!!! You have got to be thrilled with your beautiful new kitchen! It's so stunning and inviting, wish I could come have coffee with you and take it all in! Your marble is gorgeous and that wallpapered niche is such a statement! Wonderful job, I know you worked so hard, enjoy!! Beautiful! What type of marble did you use, carrera? 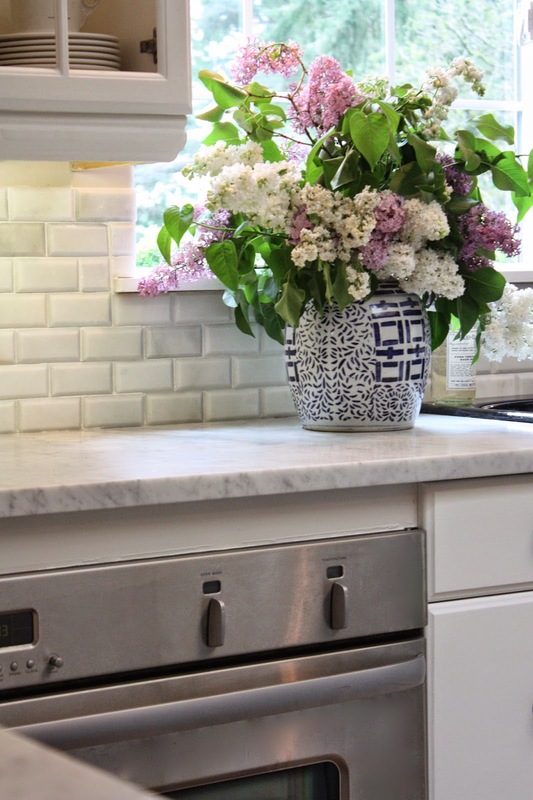 Sources for your counter and backsplash please! Beautiful! Love the niche-the wood shelves are perfect! 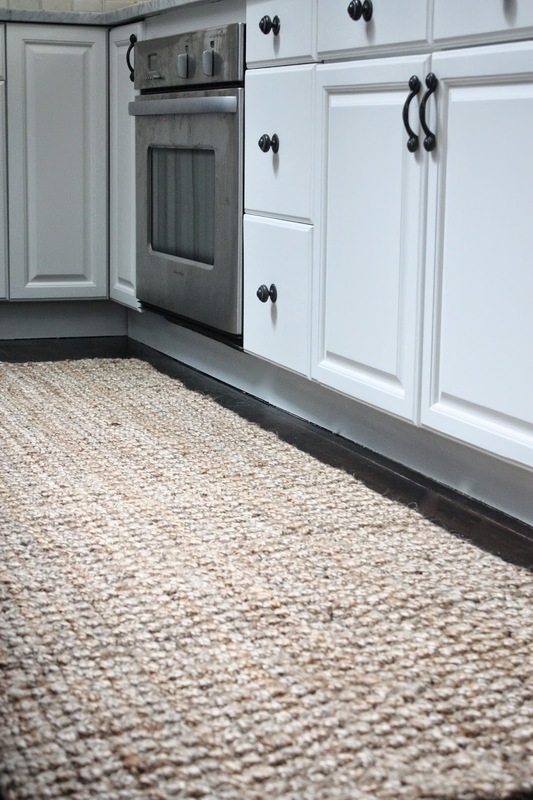 Where did you buy the jute runner? Tremendous job Melanie!! My absolute favorite is that wall paper!! 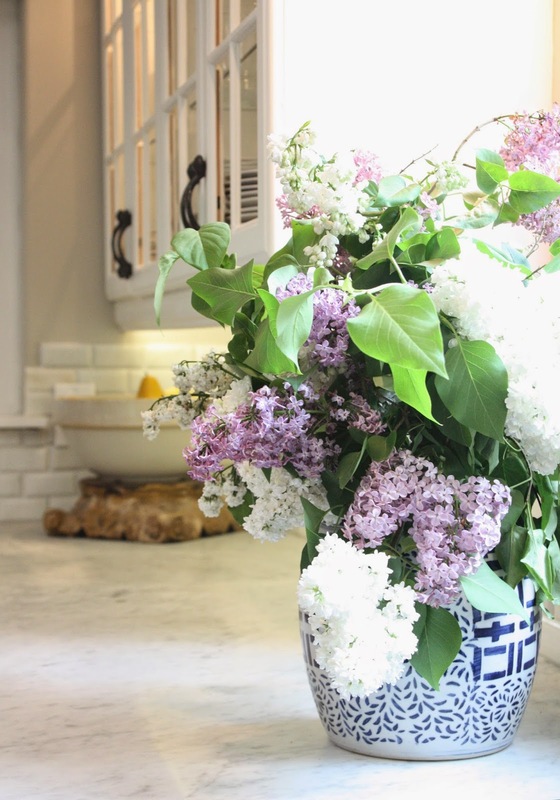 I've always adored your kitchen but now it is just fresh and so much brighter!! Everything is perfectly put together!! Wow. Love it. Especially the gray green island. What is the color of the island?? 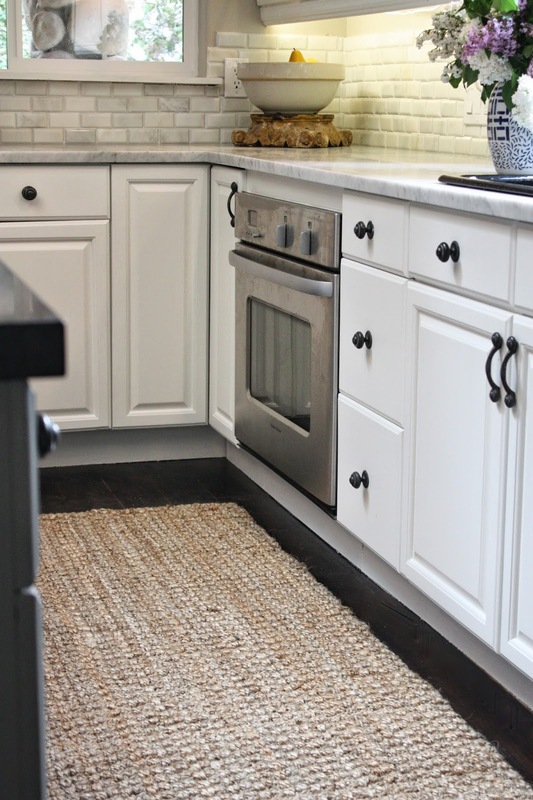 This kitchen redo will get pinned a lot! 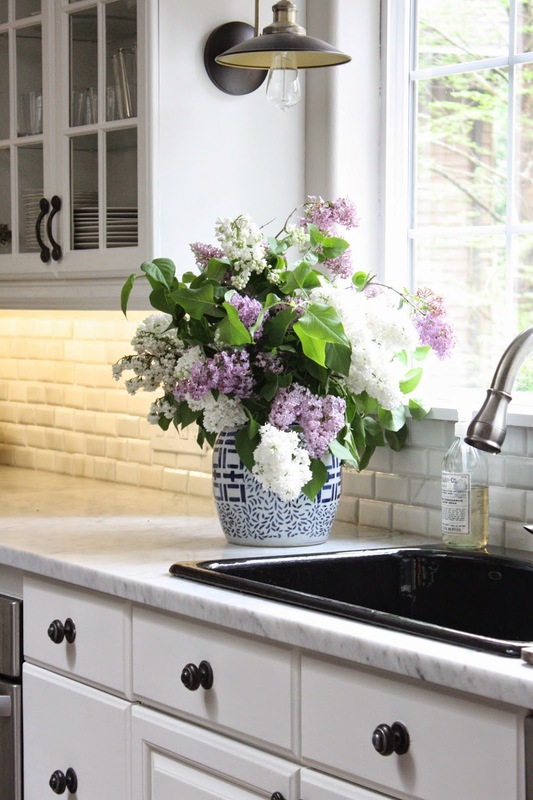 Your kitchen looks so fresh and beautiful! 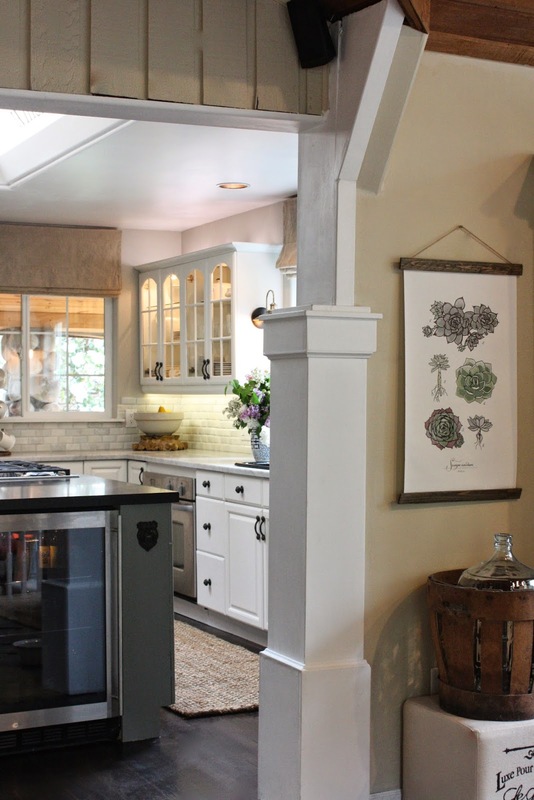 Great transformation, I love everything about your kitchen. Everything is just gorgeous!!! Would love to know sources of your lighting!! And the runner too! Hello lovely wallpaper! The whole kitchen came together lovely. I can't wait to see the resources. That gray-green color is beautiful! Melanie- first off, that skylight above the island is everything!!! Love how you played up the natural light by bathing the space in monochromatic hues...the grey feels so warm and intimate when it can easily borderline bland and cold. 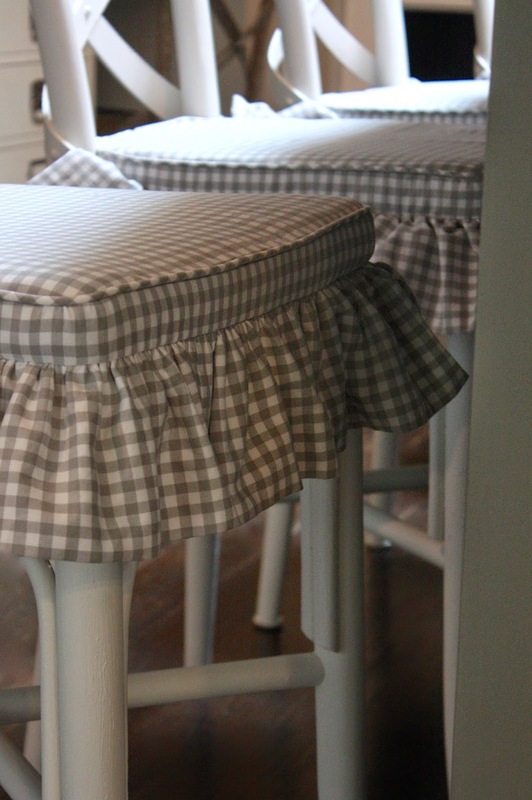 That gingham barstools are just darling! Very french country against a super mod backdrop- LOVE! Perfection. Love everything about the space. 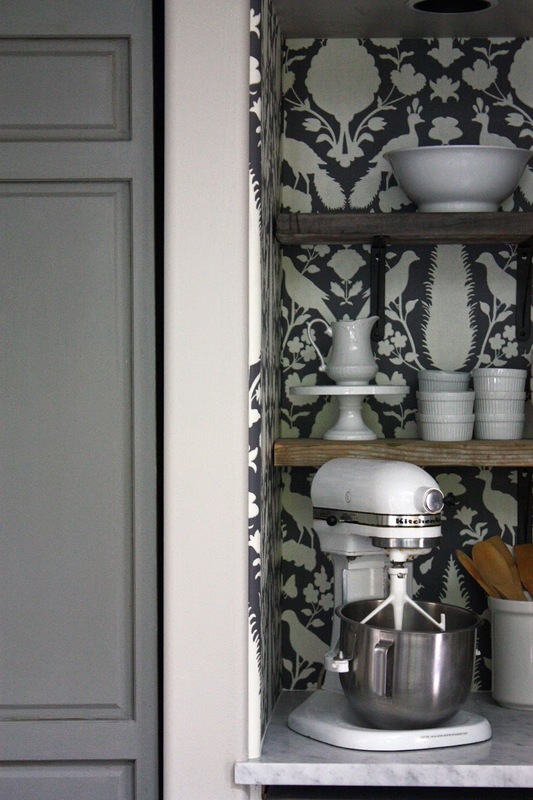 The rustic shelves look fantastic against the wallpaper in the nook. Well done! 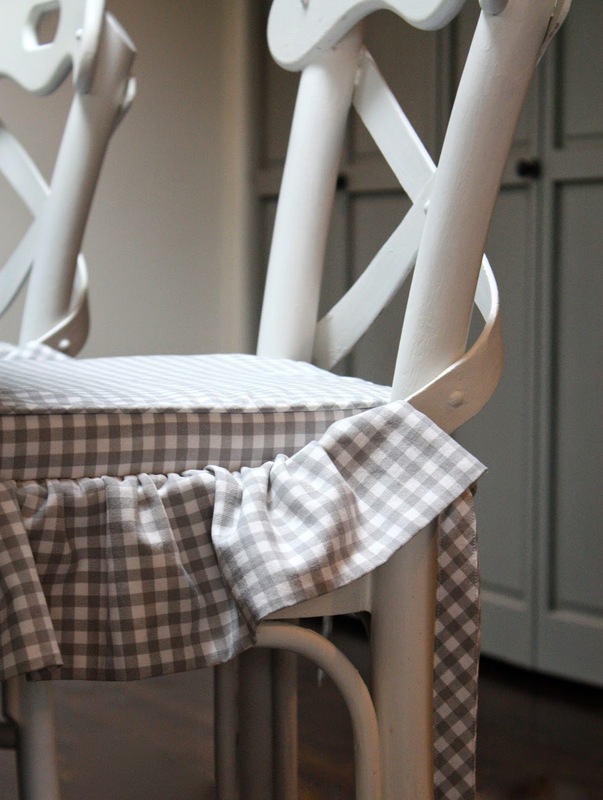 Now you for sure need to have a craft night so we can all bask in the beauty of your new kitchen! So pretty. 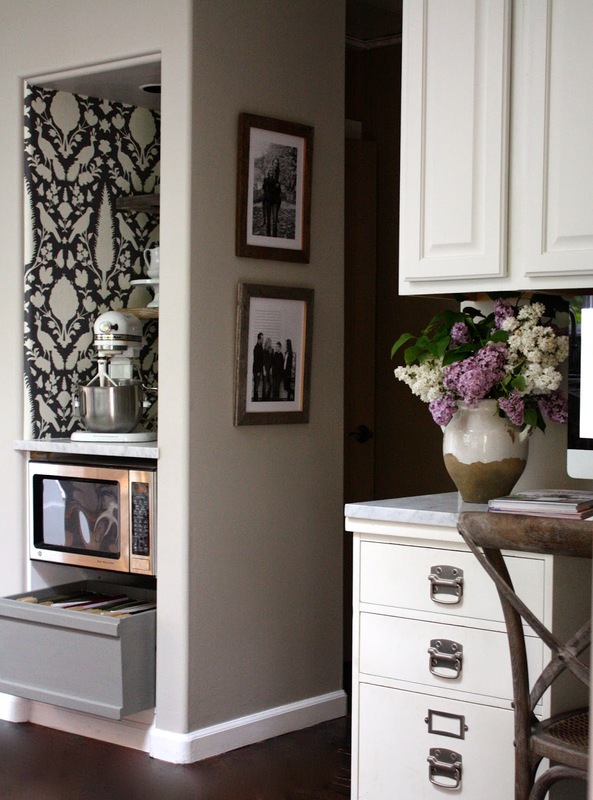 I love the wallpapered nook, but what I love the most is the simplicity of the entire room.... very nicely done. Amazing kitchen Melaine! 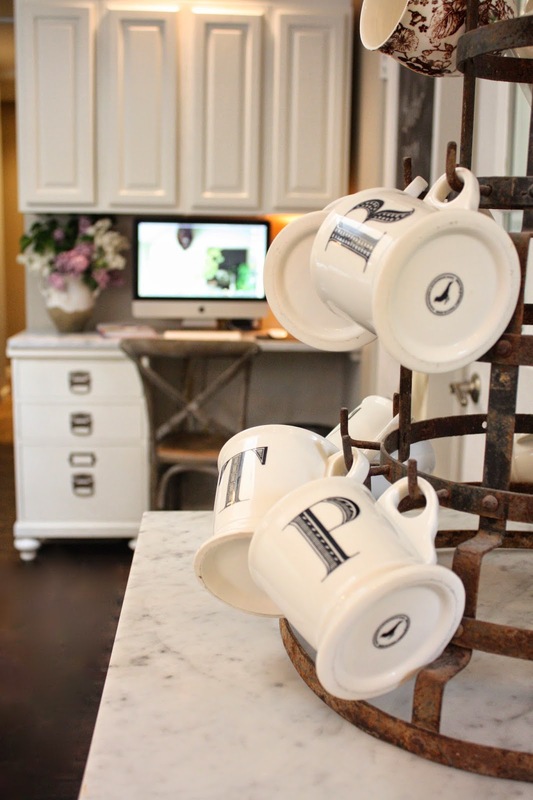 I love all the details in your space! I bet the entire fam is very pleased and happy too! Enjoy! It is just STUNNING!! Love the lighting, marble & wallpaper!! Great Job!! You have a beautiful new kitchen. I can't believe that you even have new appliances. I know this was a nail bitter for you, and you did an amazing job. 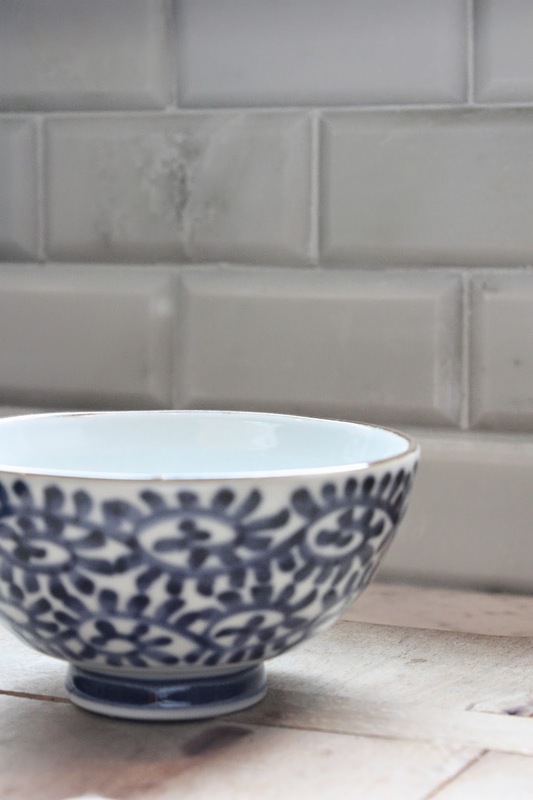 Love the wallpaper, tile, counters, paint colors, styling.....everything. Hope you enjoy a nice glass of wine tonight. Just love how it all came out … your Schumacher nook is fabulous and of course I am a fan of plaid!! Way to go and Congratulations on a successful 6 weeks! What a great kitchen! I am in love with your baking niche and all your finishes. WOW!!! Honey if there is a prize you have WON.. Congratulations you should be an Interior Designer you have the talent. Beautiful Kitchen. Thank you for sharing your home with us. so much hard work... my goodness! that is such a great feeling!!! that breath of fresh air... totally get that. and... oh... yes... that wallpaper! It all looks so fantastic - but I have to say, the Chenonceau takes the cake! Holy kitchen heaven....sorry it took me so long...I had too many appointments today! But I am in love with this gorgeous kitchen. The marble...swoon...I want so badly and now that I think of it probably could have had with the $$ I spent on the DR. I love how calm the space is and the Schumacher wallpaper....well of course it is killer! Good job girl! It is so beautiful. Congratulations! That Chenonceau wallpaper is to. die. for. Excellent job. What a stunning kitchen!!! oh my goodness! i can't believe how much you accomplished in 6 weeks. 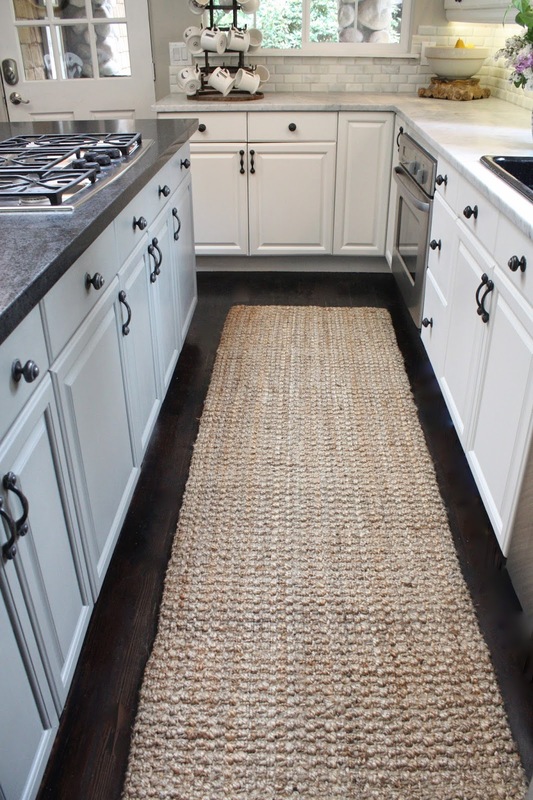 the kitchen is so inviting and lovely---i just want to kick off my shoes, come inside and site at that island. LOVE. Melanie, it's absolutely stunning! So much lighter and brighter...I love it! 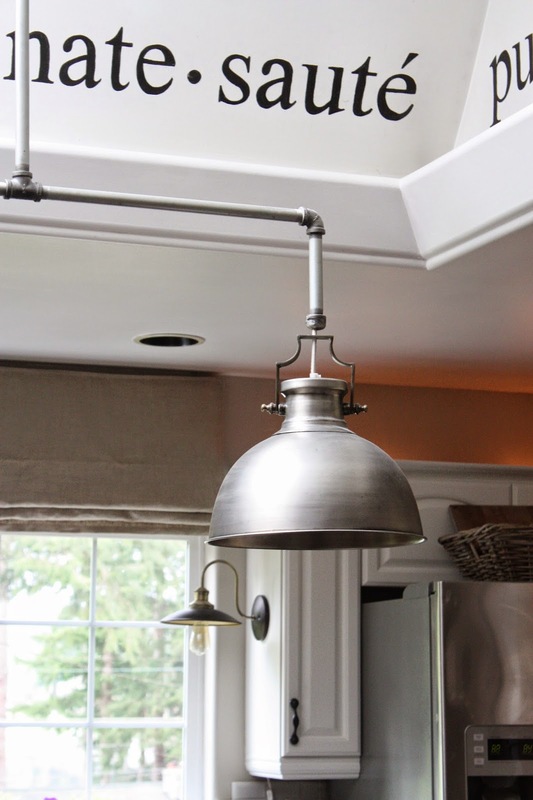 Your baking nook and the way you "rigged" your new pendants are my favorite elements. Oh, and the marble, can't forget that! Wow, the palette is to die for. And this kitchen is so perfectly you! I love it! I love how you paid attention to every detail! Melaine! This is GORGEOUS!!!!! I know you worked so so hard on those cabinets, and it was worth every effort. 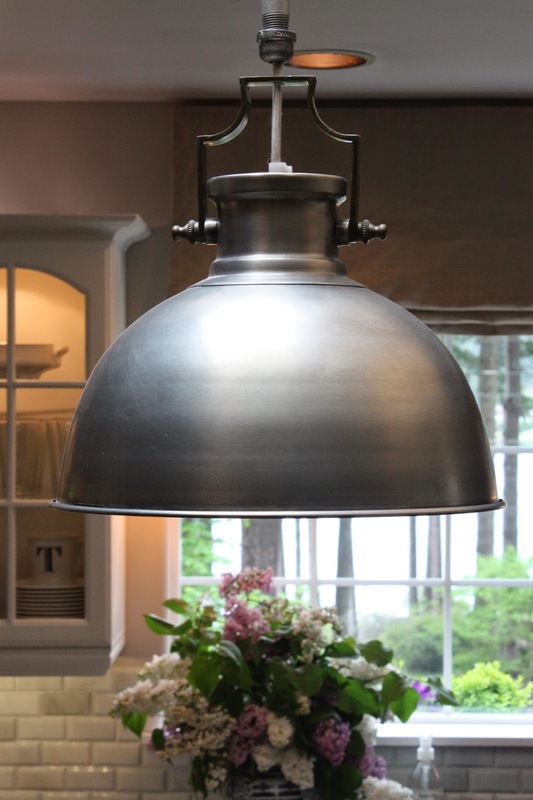 Your kitchen is beautiful, timeless, elegant, casual and sophisticated all at once. I love every single element and detail. Spectacular!! LOVE the makeover. I'm in the midst of a kitchen facelift myself . I'm very interested in the cabinet painting details (I'm on my second go as well...). Did you brush, roll or spray? Great job! This looks so pretty! I love your little baking corner!! Well done! All of your hard work paid off! 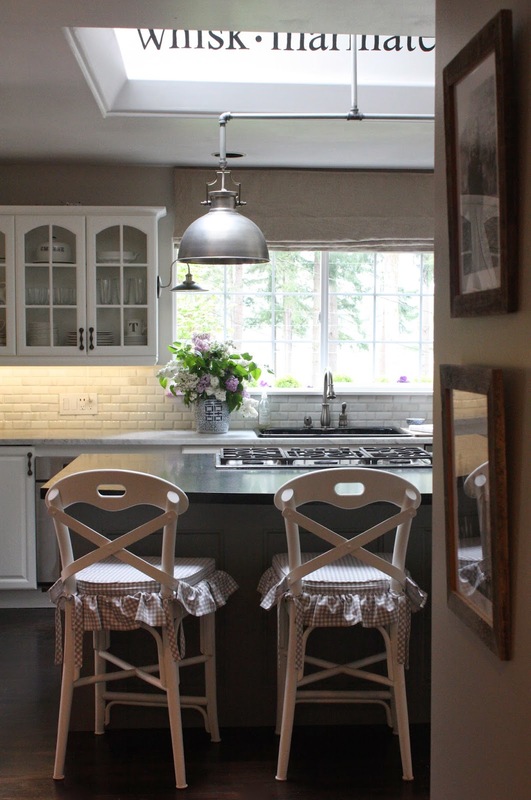 Congratulations on such a stunning kitchen - I especially adore your baking nook with that gorgeous wallpaper. Great job! 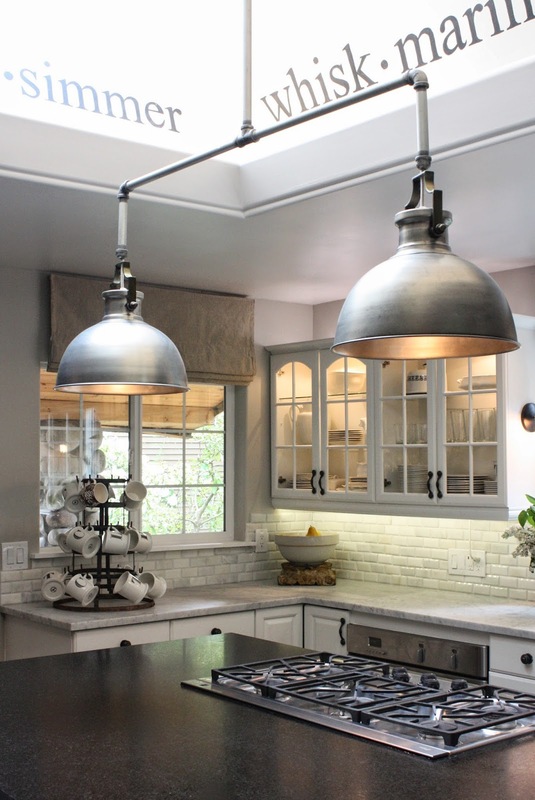 The backsplash, those sconces, the pendants - I love it all! You're right - just a (beautiful) breath of fresh air! Gorgeous. May I please move into the nook? And leave the espresso machine with me too. I love it all. Bravo. Melanie- Where can I start? STUNNING all the way, every detail is amazing and it just flows and is so well utilized and bright and just nothing short of fabulous! You rocked it woman! I want to sit in that kitchen with you and just chat over coffee! Simply beautiful!! I have a question-are the sconces on the sides of the sink hard wired into the cabinets or are they somehow plugged in? Love those!! It looks absolutely AMAZING Melaine!!!! Wow!!! So gorgeous! 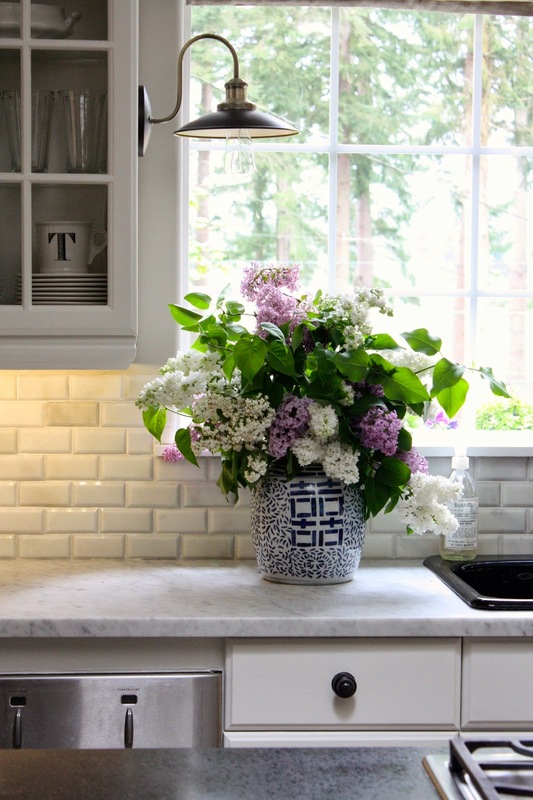 The wallpaper, the marble, that island light fixture (!!! ), the sconces! I can not believe what you got done in 6 weeks and how absolutely gorgeous it is! Well done! So lovely! Will you include the source of the pantry doors please? Bifold? Thanks! Where're the instructions for the island light? PERFECTION in every way. Beautiful!